Compelled by the possibility that she could have a dark twin, Jordyn questions her own sanity, and reality itself. Jordyn’s curiosity pulls her into a dark underworld of demonic possession, desire, and extreme indulgences churning a deadly witches‘ brew that tears her very soul apart. 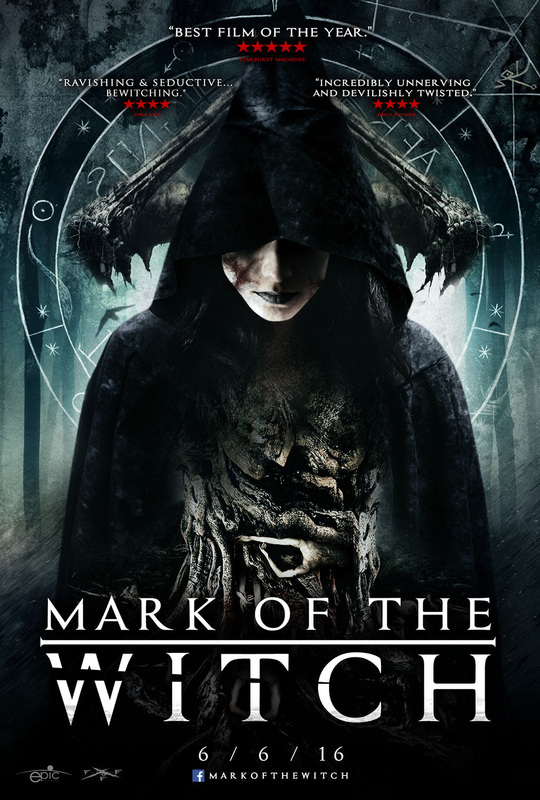 Bognacki brings us two sides of the coin in Mark of the Witch. Let’s start with the good, nay, brilliant. The film’s score is haunting. It has some of the most breathtaking cinematography. Its opening sequences are reminiscent of a colorized version of Lars Von Trier‘s Antichrist. It is so visually striking in its over saturation, startling detailed shots, and gorgeous framing, you will think you’re in for one of the greatest cinematic experiences of your life. Then… the film rolls on. Our ingenue, played by Paulie Rojas, has the timeless beauty of Audrey Hepburn. Unfortunately, in this particular role, not the acting chops to match. The technical aspects of the film blow away the performances. The plot becomes a kind of convoluted mess. It begins as weird (which is always fantastic in my view) and settles in the hokey. I was left mostly mouth ajar, literally spewing, “Whaaaaatttttt? !” Color me disappointed in the final sequences , both too long and dropping off in CG quality. The Mark of the Witch may be difficult to digest as a whole, but it is sure is easy on the eyes.